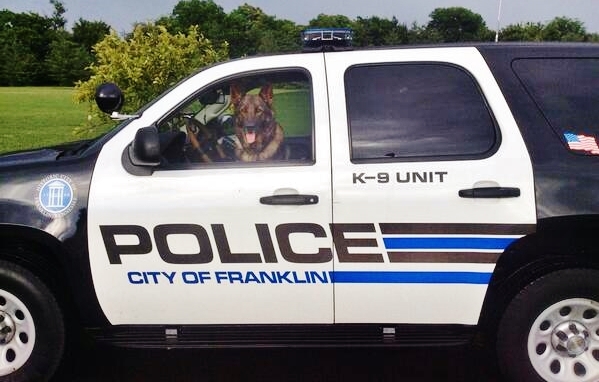 At 2pm Friday, September 23, the Franklin Police Department will celebrate two graduating canines at Police Headquarters: Jenks, assigned to Officer Brett Spivy, and Duke, assigned to Officer Kenneth Gibbs. The four-legged officers have undergone an intensive, 28-week training program to prepare them for lives as canine crime-fighters. Jenks and Duke, two-year-old German Shepherds, both hail from Europe. Jenks was named in honor of Trooper Calvin Jenks, murdered while protecting Tennesseans in 2007.